Who does not love to go on hiking? Escaping the busy chaotic city life and becoming one with nature is something that all of us earnestly look out for in this little trekking or camping trips. If you are really passionate about trekking or mountain hiking, you need to have proper gears for it. And the most important thing that you need to have is a pair of waterproof hiking shoes. Why do you need waterproof hiking shoes? The hiking shoes are necessary because they provide you with a proper foothold in all types of terrain. With these shoes, you will never have to worry about slipping. But it is also important that your shoes are waterproof. It is because wet shoes can make you hypothermic or in short sick during your trip. These shoes are highly fashionable, protective and help you to explore the outdoors vividly without any problem. Hi-Tec shoes are perfect for you if you love to go on camping, trekking or mountain hiking. There is no need to be worried about the wet conditions because these shoes from Hi-Tec are completely waterproof. Furthermore, they come with rubber soles which help to keep your feet warm and comfortable even amidst the adverse situations. Plus, these shoes are completely breathable and light weight which makes them one of the most worthy inclusions in our list. Women love the camping or hiking trips like men and the enthusiasm says it all. 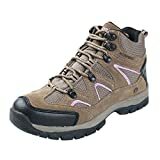 So, if you are a woman and love to be with nature, then this Northside waterproof hiking boot is perfect for you. It has a great look and makes your feet highly comfortable. Moreover, the boot is totally waterproof yet it is made from breathable leather which helps your feet to find extra comfort. Keen is one of the top brands that produce high quality hiking shoes for men. These hiking shoes are not only waterproof but also have a leather coating which makes them look attractive. Moreover, these shoes are light in weight, have a sleek design and are highly stylish. So, with these shoes, you will never be out of style. The company also uses a patented toe bed design which protects your toes and assures you about utmost comfort. You will not have to worry about the stepping with this shoe as it makes sure that you do not take false steps. If you are looking for a best quality hiking boot, then this one can be a wise choice. The best thing about this boot is that it is completely waterproof yet the material assures you of complete breathability. Of course, the leather and textile material that is used in the shoe is completely breathable. Thus, they save your feet from all discomfort. Added benefit? This shoe guarantees you about maximum foothold without slipping. Here is another pair of hiking shoes for women. Columbia has garnered quite a fame among the trekkers and hikers for their best quality hiking boots. The Newton Ridge Plus has a beautiful design and assures you of all comfort. Firstly, the boot is 100 percent waterproof and it does not make your feet wet. Secondly, it has a breathable mesh which makes sure that your feet are well ventilated. Lastly, they are perfect for all terrain usage; so there is absolutely nothing to worry about. Keen is the home to the best waterproof hiking shoes and there is no doubt in that. The company has secured another place in our list with a different boot. Men’s Targhee II hiking shoe is known for its extraordinary craftsmanship and design. Plus, it is completely waterproof. And the material that is used in the shoe is light in weight and breathable; thus you will never feel any discomfort. Moreover, the shoe assures you about proper stepping and you will not have to worry about losing your step. 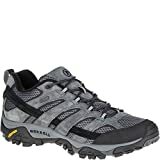 Merrel presents another promising product for a comfortable hike or trekking. This shoe is much like its predecessor. However, it has a better design and feels great when you wear it. The quite fashionable and breathable material provides proper ventilation to your feet. Moreover, the material used in the shoe is completely waterproof yet very light weight. It has a synthetic sole that helps your toes to find utmost comfort. Even though the company is relatively new, we cannot deny that this Ultra 2 GTX is a piece of extraordinary craftsmanship. These shoes are highly comfortable and relaxing. At the same time, they are completely waterproof and provide you with the perfect foothold. It even has a beautiful sleek design and is completely lightweight which helps you to walk faster or run without hindrance. Being at the second position in our list, this one is the best hiking boot for women. The Ahnu Sugarpine Hiking Boot has a great design and is completely light in weight. It provides comfort to your tender toes and also ensures that you take the perfect steps. Above all, this is completely waterproof. So, you need not worry about getting your feet wet. This one sits at the top of our list for a reason. 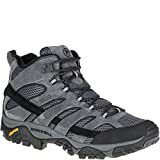 It is the best hiking boot that you can choose for yourself. It is completely waterproof and has a great feel about it. The design of this shoe is simply breathtaking and perfect for all occasions. Moreover, the material provides proper ventilation to your feet and makes you completely comfortable. If you really love hiking and looking for a boot that is completely durable, dexterous yet completely light weight, then the Timberland White Ledge is the wisest choice you can make. Your hiking and trekking sessions will not be that uncomfortable as these shoes will protect your legs. Go on and have some hiking or trekking as you are now going to have absolute fun on climbing and crossing the uneven paths.